There’s something you might have noticed from this morning’s talk of webOS 2.0: it’s no longer Palm webOS. Yes, your greatest fear has been realized: HP has taken some of the reins and exercised their power to rename Palm’s operating system in their image. 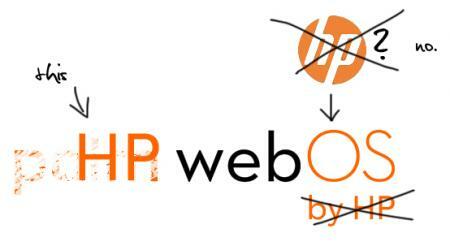 Specifically, it’s now HP webOS. It’s a change that we’ve been seeing coming down the pike for a few weeks now, and it doesn’t sit any better in the vocal chords today than it did then. But we can understand why the change was made: if webOS is to make its way onto everything from printers to tablets to toasters, then the Palm name might not carry the same weight as HP. Either way, this is one change that should affect how you use your device, though you might end up staring at more obvious HP logos in the future. Update: Looks like Palm's Developer Portal has been updated with the new branding.